Mayfair Dad is something of a classic car buff. When we first met, he stole my heart while driving a beautiful old MG Midget (later an MGB GT and most recently a Jaguar XJS). He can still tell you which racing driver won which Grand Prix in the last 100 years. So it should come as no surprise that ever since Lord March first invited the public to a motor sport event in one of his many beautiful back yards on his Goodwood Estate in East Sussex, my old man has been a regular attendee at the two biggest and best world motor sport events on the calendar – the Goodwood Festival of Speed and the Goodwood Revival. I have personally accompanied him to almost all of them (as well as many others!) over the years. The number of motor sport events we’ve been able to go to regularly has dwindled to almost none in recent years, what with the arrival of the Little Chap and other pressures of life and work, but the two Goodwood events remain on our family calendar as sacred as the birthdays and anniversaries of our friends and family. The Little Chap joined us last year for the first time at both, which, now he has made it two years in a row, must mean it is already something of a family tradition. Summer for us starts with the Festival in late June/early July and ends with the Revival in September. This year the Little Chap had a great time at the Festival. “This is where we parked the car last year!” were his first words as we entered the field where, as Goodwood Road Racing Club members, we park the car as close to the event as possible. He flirted and charmed all the PRs on the big marketing stands, being allowed to climb all over various Jaguar XFs and XJRs – I could tell Mayfair Dad was proud of him! The Little Chap loved dancing to the jazz band that played outside the Style et Luxe display and the big E-type Jaguar model on display outside the house but his best bit was at Junior Goodwood, where he got a few minutes to do the kind of thing toddlers like to do – play on a bouncy slide and in a mobile soft play area. This month, we went to the Revival Meeting with him. While the Festival is a great day out for all the family, the Revival has a special place in all our hearts as every year more and more of the attendees make the effort to dress in vintage clothes that resemble the fashions of the race track’s hey day from the 1940s to the swinging ’60s. Early last week, Mayfair Dad started to prepare his own wardrobe for the day – tweed jacket, cravat and chinos – he always looks the part of the English gentleman from days gone by. I do my best with a Fifties’ style full skirt and twinset look. Each year, as I take time out to browse the vintage fashion stalls in the little market set back from the action of the race track, I promise myself I’ll push the boat out and do the Forties properly next time. But it was the Little Chap whose wardrobe got the most attention this year (and last year too come to think of it!). We found him a mini flat cap by Mini Modes at Boots last year, which we teamed this year (it only just still fits!) with a beautiful tweed jacket from Zara Kids, a pale blue chambray shirt and a polka dot bandana (machine washable! ), which he wears as a cravat so he can look smart like Daddy with a pair of corduroy trousers! We hadn’t even got into the circuit this year before he’d received his first compliment and then on entering the members’ marquee, a member of GRRC staff (one of the pretty young things!) was falling over herself with compliments and wanting to know how old the Little Chap was. I have to admit enormous pride, if a little disappointment, that it isn’t my outfit that is the source of all the interest! Granted Mayfair Dad’s membership of the GRRC makes it easier to take a little person with us – all day access to seating, food, toilets and (to those of us who get there first!) a locker for leaving all that toddler paraphernalia behind when going off to explore. There are however, a cornucopia of facilities available to the non-member, with every kind of food and drink you might need or picnic facilities for those who don’t. Of all the days out on the motor sport calendar in the UK, the Goodwood events are the classiest, apparently thinking of every little detail to make our visit a fun and memorable day out for us all. We’re all looking forward to booking our tickets for next year! 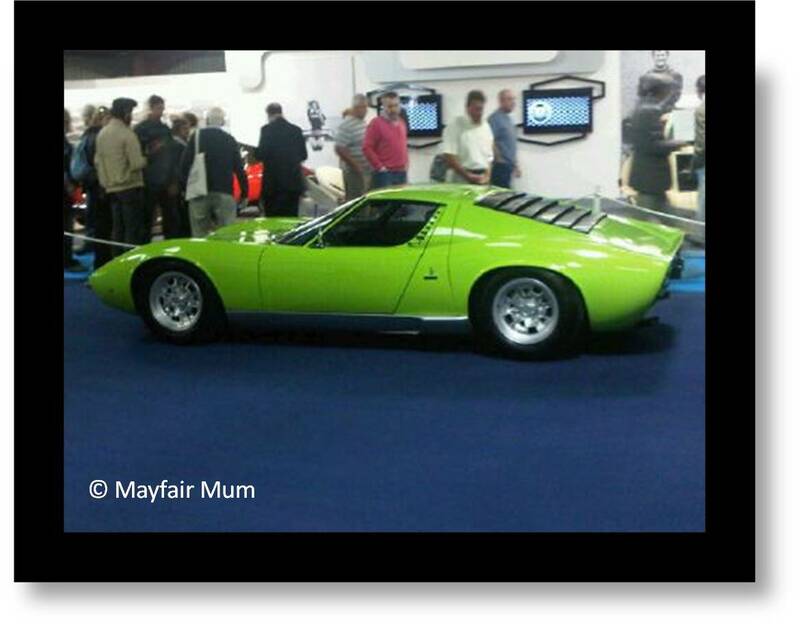 This entry was posted in Little Chap Visits, Memory Lane, Parenting & Family, Reviews & Recommendations and tagged classic cars, days out, events, exhibitions, family life, fashion, Goodwood, kids, motorsport, vintage by Mayfair Mum. Bookmark the permalink.